Invest in yourself, in your education. There's nothing better." New to online classes? Education 230 is a course designed to introduce new online students to the basics of how to succeed in an online class. Register for EDUCATION 230 - ONLINE STUDENT SUCCESS LAB - Section 23707 for Fall 2018. Click on the image above to register now. All Things Digital / The DDS and the Online Learning Program have teamed up to launch a new blog, West LA Digital. 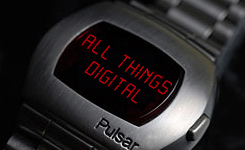 Check us out and learn about all things digital from West LA College. Don’t forget to follow us. Click on the image above to visit our blog. WESTWeek / The latest news and event information from West LA College! Click on the image to visit WESTWeek! Salamanca, Spain. Click on the image above to visit the Study Abroad website. WLAC Online Degree for International Students / Students abroad can now earn a U.S. degree online. Applications are now being accepted. 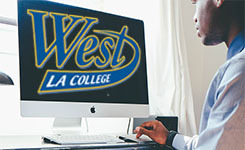 West Los Angeles College (West) is committed to the integrity of online education. In compliance with the Federal Department of Education regulations, West provides prospective and enrolled students with contact information for filing complaints with its accrediting agency and with the appropriate state agency for handling complaints in the state the student resides. © 2018 | West Los Angeles College | All Rights Reserved.